Look forward to any update to Limiter No6, it’s my favourite limiter by far. Limiter no6 in AAX format? great news! Limiter No6 updated is amazing news!!! Do you have a timeframe on the release? Any chance of getting the PRESETS as shown in the videos??? I have been checking in at least once a week on this page since the news of Limiter No.6 reissue… Can’t wait. 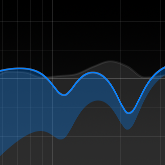 I’ve bought all the TDR plugins, and am so keen for more… Cheers for being such an inspirational creator.